ZET 452 is an automated module for electrical circuits parameters control that is used for electrical circuits impedance and insulation resistance monitoring in automated mode. The monitoring is performed in accordance with the set participation and without participation of an operator. 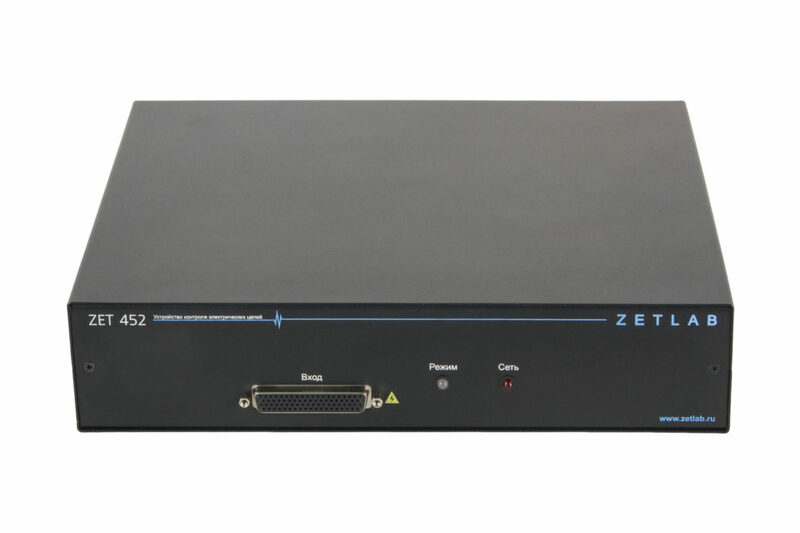 ZET 452 allows to reduce the time necessary for verification procedure more than in 20 times if compared with the standard measurement instruments normally used for these purposes. 72 contacts for connection of the controlled circuits. 576 contacts for connection of the controlled circuits in the case if 7 extension modules ZET 452 MP are used. 2016 contacts for connection of the controlled circuits in the case if 7 switching modules ZET 454 are used. Verification scenario is saved to a file. 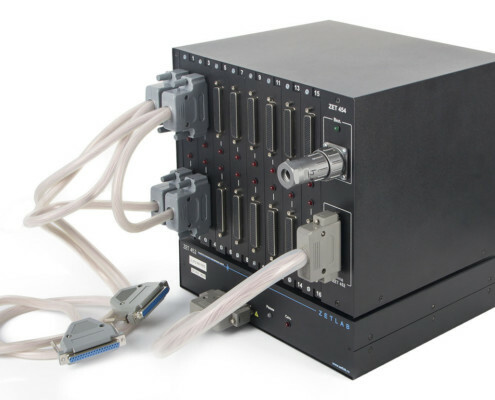 High operational capacity allows to reduce the verification duration by more than 20 times. Up to 600 checks per minute for electrical circuits resistance control. Up to 60 checks per minute for insulation resistance measurement. All you have to do to start measurements is to connect the device to be checked and to start the control procedure. Fully automated control procedure, automated loading of the required software. 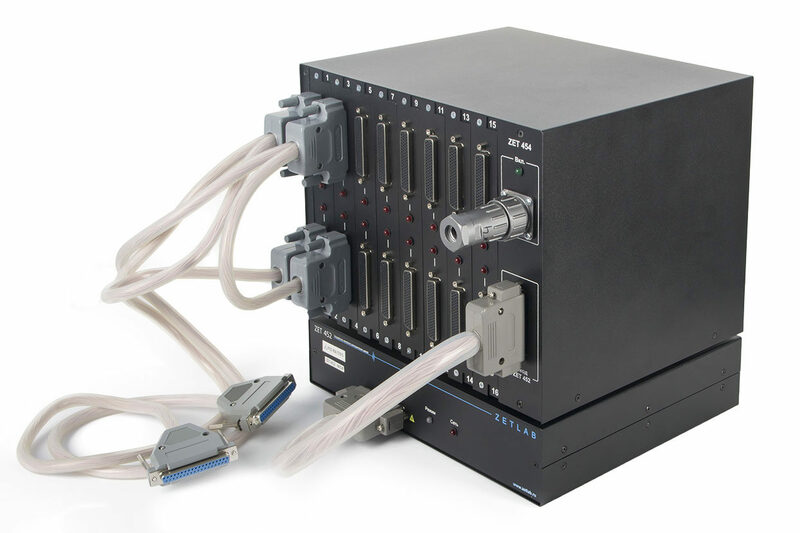 Controlled device identification function available (it allows to exclude the possibility of wrong control algorithm selection). Two contacts of the controlled circuit are used as patch bays. They are further connected to the measuring circuit with the use of commutator switch, corresponding to a particular control algorithm (resistance measurements or insulation resistance measurements). 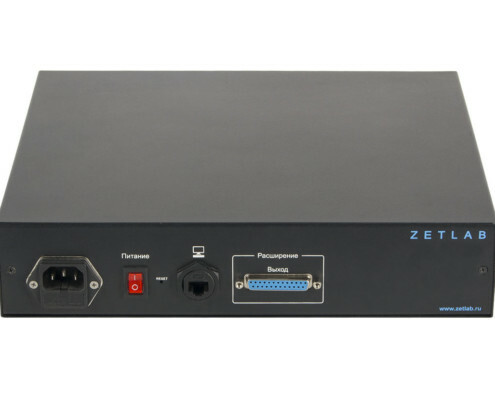 Digital port is used for the control of the commutator switches. Pre-amplifier sends the signals to ADC, which measures the voltage level of the circuit. 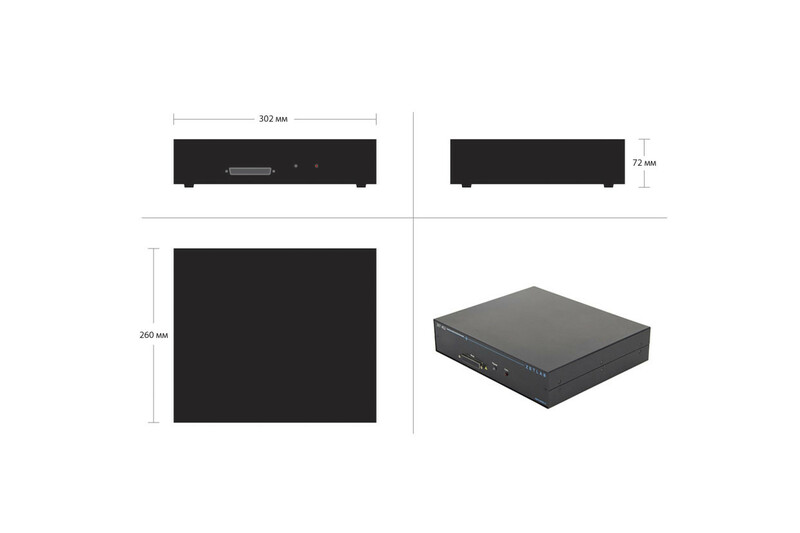 Depending on a particular range of the measured voltage, the signals can be sent without amplification, or with “100” amplification ratio, which is taken into account in the course of calculations. 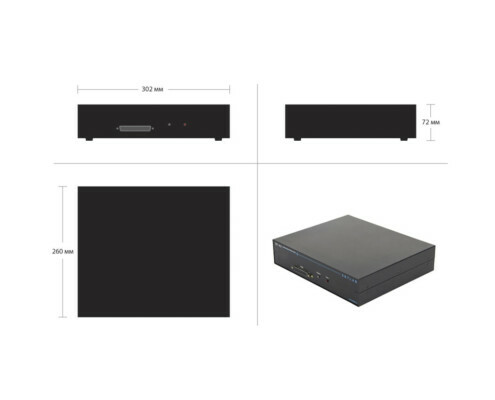 The signal processor saves the data to the integrated memory for further transfer with the use of USB controller. Based on the measured values, the program “Electrical circuits parameters control” calculates the resistance value of the controlled circuit. DAC produces the test voltage of 2,5 V used for measurement of electrical circuits resistance as well as for generation of excitation sine signal with various frequency level (this signal is used for electrical capacity control). 100 V power supply voltage is used for test voltage generation used in the mode of insulation resistance measurements. Lines 73-78 are used for binary code generation. The binary code is also provided by the junction from the contacts “73”-“77” to the contact “78” (option of automated recognition of contact device modification). 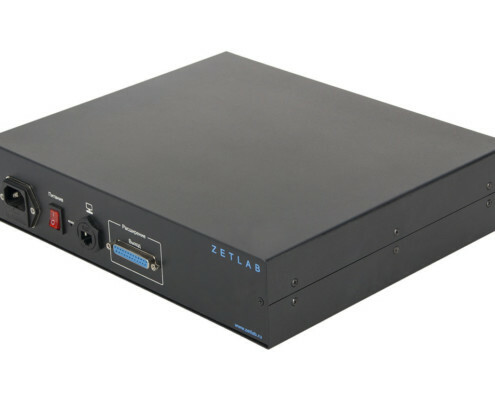 5V power supply source is used to provide power supply for the components of electrical circuits parameters control module ZET 452. 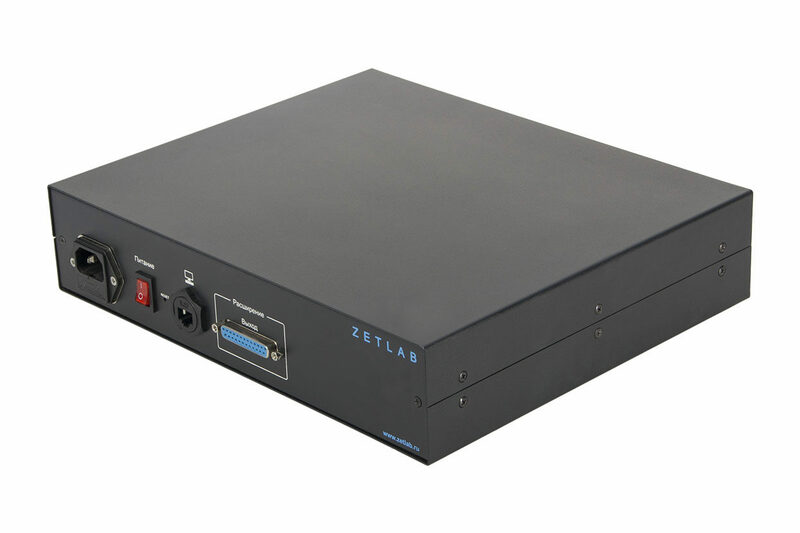 Operating principle of the playback unit of the electrical circuits control module ZET 452 is based on automated control of the integrated reference voltage sources and sending the reference voltage to the contacts of the controlled electrical circuits. 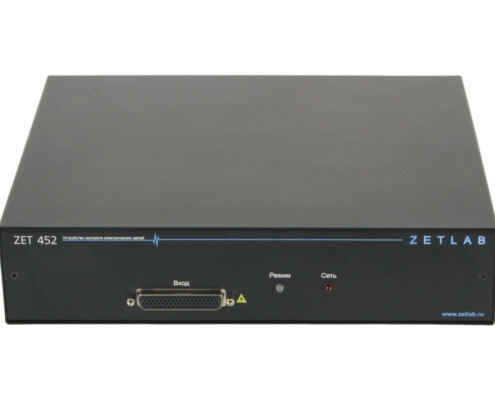 Operating principle of the measuring part of ZET 452 is based on the conversion of the input analog signal into digital one with the use of ADC. Evaluation of operational capacity and characteristics of the controlled device is conducted by means of analysis of their response to the test impact with further display of the results obtained at the display. 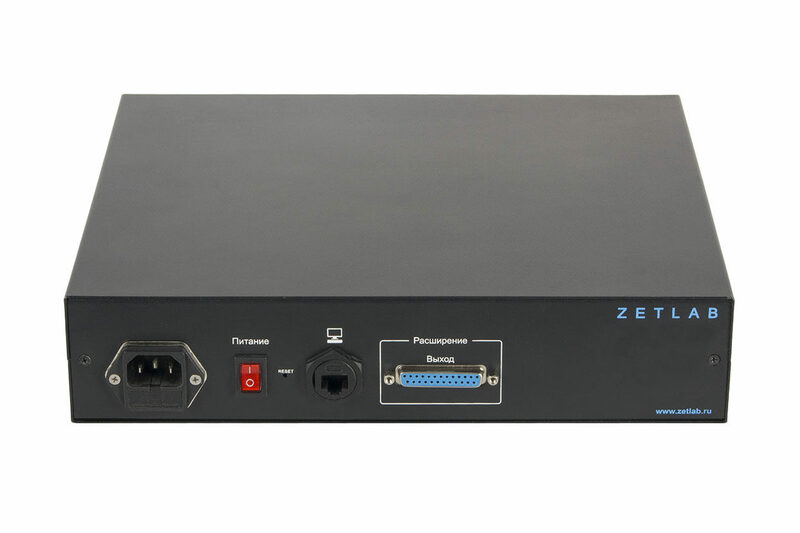 Measurements control and results indication is implemented with the use of the software program “Electrical circuits parameters control” (ZETCableTest). Measurement results are saved to the memory device (hard disk) as a report in “*.xls” format.